Content marketing is the creation of content that is relevant, entertaining, compelling, and valuable. Content marketing requires consistent publishing and can change the behaviors of customers. Content marketing does not involve direct selling but can help retain and acquire customers. For it to work, the content must be engaging (or inspire a reaction from the customers) because if it’s not, it really has no marketing value. Website traffic used to be the metric of choice when it came to measuring content marketing’s effectiveness but it doesn’t tell the full story of performance—measuring engagement that results in conversions can be much more insightful. A great example of this can be seen on the Kinsta blog with their post on WordPress page builders. 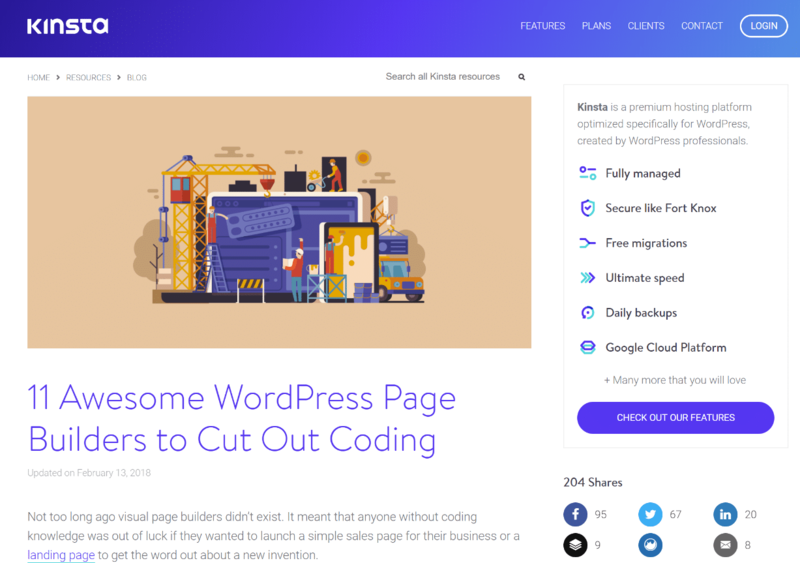 While this piece of content is not directly related to Kinsta’s hosting services, it was written to help engage WordPress users (on social and comments), attract new customers in an indirect way, and of course, search engine traffic never hurts. Content marketing is believed to have first started in the 1700’s, when Benjamin Franklin published what would become the annual Poor Richard’s Almanack to promote his printing business. Then, in the 1900’s, the Michelin [Restaurant] Guide was developed by the Michelin Company. It seemed like quite a disconnect for a tire company to be offering a guide to restaurants, but the Michelin brothers used this content marketing tactic as a way to encourage people to buy cars to go on road trips (and subsequently, buy Michelin tires). The term ‘soap opera’ referred to/originated with the radio dramas started by P&G in the 1930’s, featuring soap products, such as Duz. 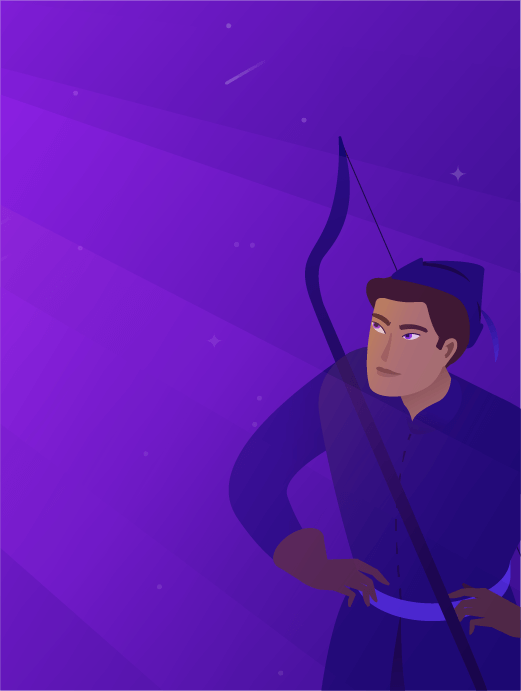 If you want to learn more about how early content marketing became the behemoth we now know it as, check out Content Marketing Institute’s guide and infographic on the topic. 90% of marketers use content marketing (though 70% of marketers lack a consistent or integrated content strategy). Content marketing leaders experience 8 times more site traffic than non-leaders. Small businesses with blogs get 126% more lead growth than small businesses without blogs. This is because 77% of people of internet users read blogs. Content marketing rakes in conversion rates 6x higher than other methods. ? Businesses that publish blog content have 434% more search-indexed pages than those without. In fact, we were able to grow our organic traffic (no advertising or social media) here at Kinsta by 517% in 13 months using content marketing and SEO. 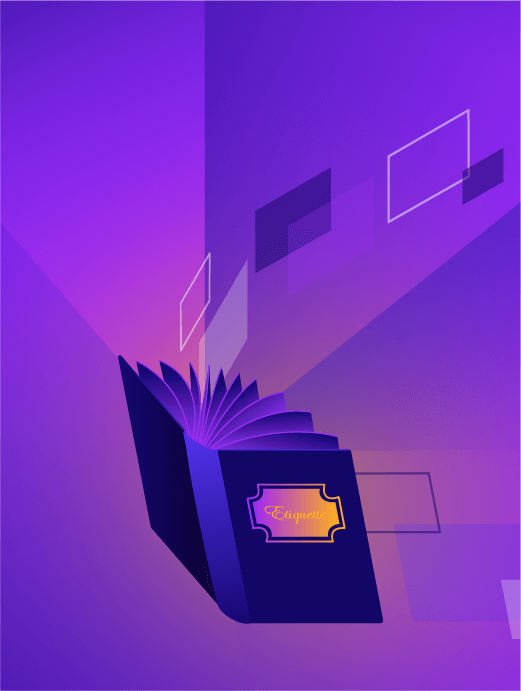 Kinsta also uses content marketing as a way to help educate customers (blog + Knowledge Base) which in turn helps decrease support time and tickets. Content supplements your SEO strategy by providing more inbound links, thereby increasing your domain authority. You can repurpose articles for social media campaigns and email marketing. It can encourage more email signups, especially when you offer ‘exclusive’ content, such as reports or white papers. Content marketing cross-promotion can open up doors that allow you to build relationships with other brands. Content marketing can also serve as a separate stream of revenue for a business, for example when creating in-depth content (like ebooks) that customers can buy. This is also known as inbound marketing. 75% of companies are increasing their investment in content marketing. Average content marketers allocate 28% of their marketing budget to content marketing, while more effective B2B marketers allocate 42%. The best content marketers allocate 46% of their total marketing budget to this tactic. Before deciding on a specific content marketing budget, determine first whether you really need it (ensure that it is aligned with your marketing and business goals) and whether you’ll benefit from it. Although it’s a hot topic for a reason, some types of businesses just don’t get the same ROI from content marketing as what’s possible for them with other channels. Understanding the ROI of your other efforts is necessary for determining whether or not content marketing is worth an ongoing investment. How can you determine your current content marketing ROI? One easy way is to check in Google Analytics (assuming you have Goals setup). Click on Conversions → Goals → Overview. Look at Source/ Medium and see where “google /organic” is currently ranking, and then make an informed decision. In the example below, you can see it is over 48%! Which is great. If organic traffic is already your #1 converting medium, then you know content marketing is working and perhaps you should pour more on the fire as they say. If something is working for you, roll with it! If organic traffic is a very low portion of your conversions, then you might need to figure out why. Perhaps your content is ranking? Perhaps your readers aren’t engaging with it? Or maybe you simply aren’t publishing enough content. A website’s design is important because it provides the viewing medium for your content. You might have the best content in the world but your website visitors have trouble using your website or reading your content because of aesthetic or usability issues, your content marketing campaign simply won’t work. Your website’s technical structure impacts SEO, which in turn, affects the performance of content marketing campaigns. According to Ross Hudgens, founder of Siege Media, expect to pay at least $5000-$6000 for a good website. This metric can go as high as $20,000. You can certainly build websites for cheaper (like when customizing a theme instead of commissioning a completely custom design) but a low price is often indicative of low quality—and possibly even technical SEO issues! Check out this more in-depth post figuring out the real cost of building a WordPress website. Blog posts are an important aspect of content marketing. They are the main drivers of traffic, a strong contributor to SEO, and can influence your audience by positioning your brand as an industry thought leader. 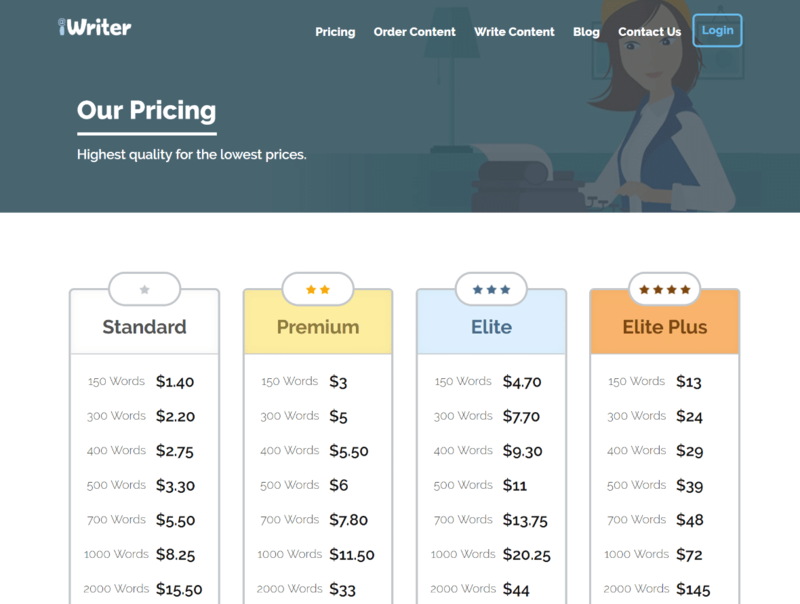 As with websites, you can purchase blog post packages across a wide range of pricing. Some freelancers (especially those from third world countries where the cost of living is cheap) offer 500-1000 word blog posts for as little as $1/each! But it’s important to realize that in cases such as these, as in the rest of life, you get what you pay for. Again, all of this represents time that you, or someone you end up paying, will have to factor into the cost of creating content. So don’t spik proofreading it’s important and crucial. In this detailed blog post we collected our best 19 proofreading tips make sure you take a look. When it comes to the average blog post, cost really varies. On the average, a 500-word blog post can set you back $150-$350 but blog posts written by the best writers can set you back up to $2000 for a 2000 word post. When working with a top writer, you can expect a final product that is well thought-out, well-researched, and well-written—minimal edits needed, if any. And before you think that 500-word blog posts will do it everytime, understand that in order to reap the SEO benefits of content marketing, long-form assets (like cornerstone content) are necessary to find success. If you skimp on words (and budget), content marketing may not end up working for you! Content marketing isn’t just about the written word. A really well-designed infographic can cost $2000-$3000, while an animated infographic can cost up to $6000! Expect to spend anywhere between $1000-$20,000 per month on social media marketing. This doesn’t always include ad cost, which can set you back anywhere between $10-$100 per post (and even more for higher-level ad goals) using social media ads (such as Facebook Ads, Pinterest ads, and LinkedIn ads). Hold your social media marketing service provider accountable by requiring analytics reports on metrics such as engagement and sentiment. Super high-quality videos can set you back at least $3000 per minute of video, though that’s really the upper end! Truly, video content marketing is more accessible than ever to businesses that are willing to test it out. No expensive production tools or fancy editing software needed—all you really need is a camera and an app like iMovie! Interestingly, according to the 2017 SOCE report, marketers usually overestimate what they need to pay for content marketing. For instance, according to the report, individual marketing videos are expected to cost $1208, when they really (on average) cost half that amount to produce ($631). Siege Media suggests 16 hours of content promotion per month, suggesting that you should expect to pay a content marketing specialist $75-$85/hour. This results in about $1250-$1500 in spend per month on top of the writing cost to ensure that the content you’ve worked so hard to create reaches the right audience. 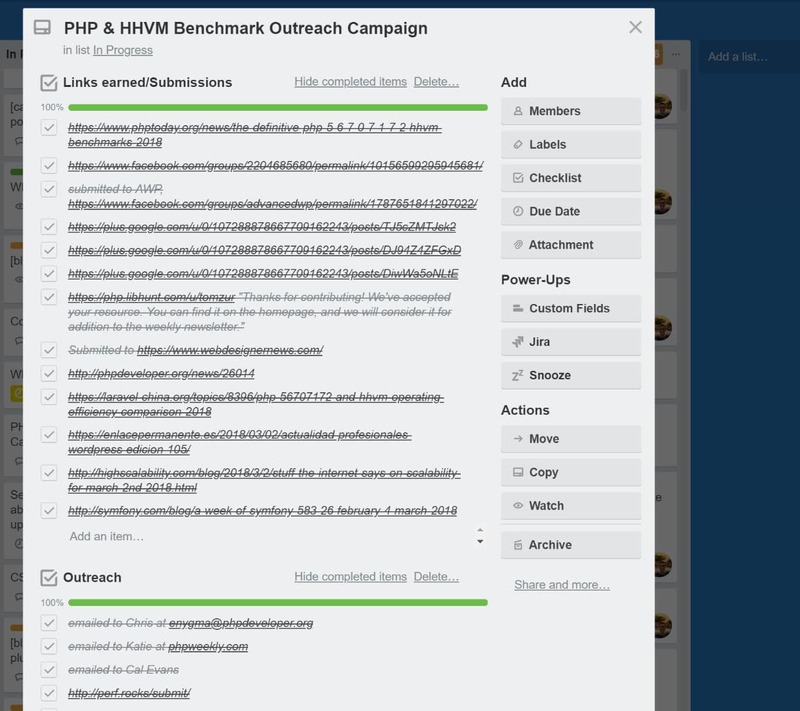 We recently published a very large PHP benchmark article and set up an entire Trello card just to work on outreach (after the post was published). Promotion of your content can be just as important, if not more important, as creating it. It won’t help you if nobody sees it! Note that there are also a number of hidden costs associated with content marketing, such as the time you’ll have to devote to competitor research, content auditing, project management, and design. These figures serve merely as a guide in your efforts to invest in content marketing. There is no industry standard. Different business types (and sizes) will have vastly different budgets—especially when comparing a small business to a Fortune 500 corporation. Ready for some good news? Not all content has to be unique/created fresh for it to accomplish business goals! As a general rule, content is 65% created (involving a mix of internal staff or outsourced to agencies or freelancers/contributors), 25% curated, and 10% syndicated. Over 50% of marketers that curate content say it has increased their brand visibility, thought leadership, SEO, web traffic, and buyer engagement. The top 5 departments responsible for creating content are corporate marketing (53%), product marketing (39%), subject matter experts (36%), PR/communications (32%), or content creation is outsourced to an external agency or consultant (30%). Marketers outsource 18% of their content but the best ones outsource 24% of content to keep up with demands in a timely manner. The remaining content is created in-house, curated, or syndicated. The top 5 skill sets missing from today’s content marketing teams include content creation, content leadership/strategy, content promotion, performance management/metrics, and subject matter expertise. The top two most outsourced content marketing activities are writing (44%) and design (41%). How long does content have to be to be effective? On average, 18% of companies’ blog posts are 750 words or more. 6x more bloggers are writing posts over 2000 words than in 2014. 12% less bloggers are writing posts 500 words or less than in 2015. 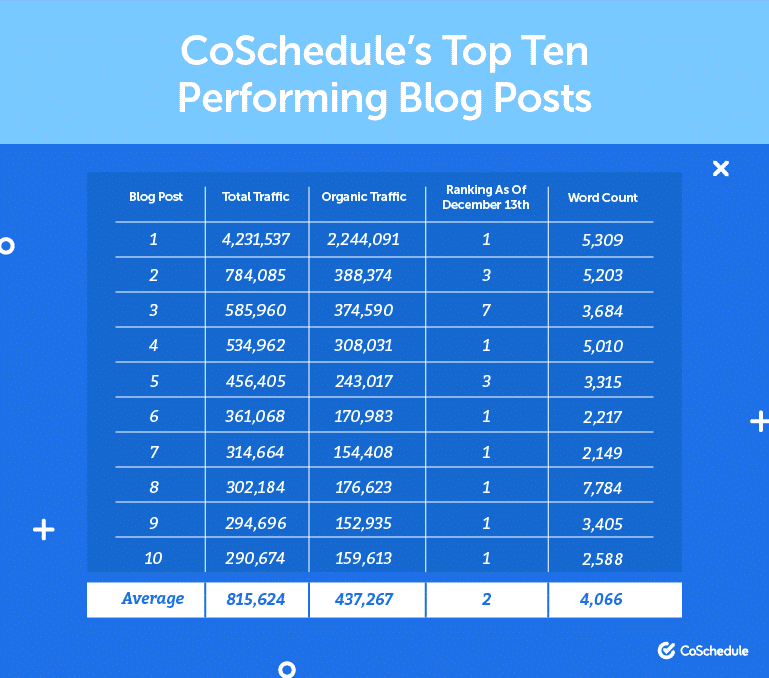 CoSchedule pulled their top performing blog posts and here’s what they found in correlation to content length. As you can see, there is no short form content to be found. Get blog comments: 275 words is fine. Get social shares: 600-1500 words is what you need to aim for. Rank on Google: Aim for 2500 words. 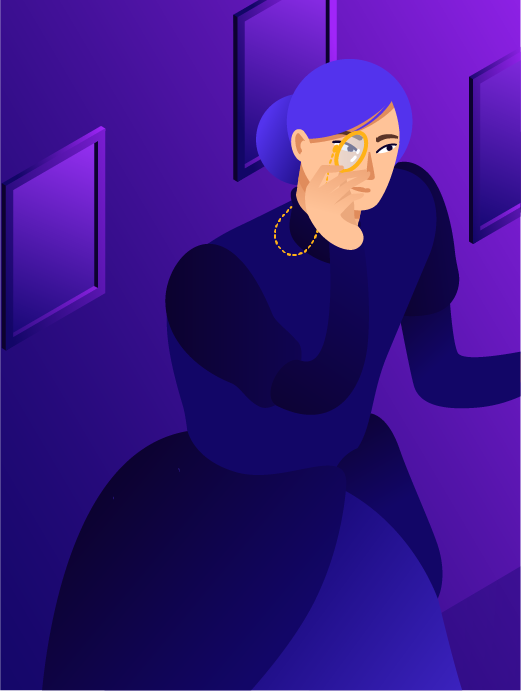 Tip: We have found the above to be true on our own site and that’s why we rarely post anything under 2,000 words here at Kinsta. Longer posts simply rank higher as well as increase the time on-site (an important engagement metric!) for customers. And in regards to frequency, keep testing and look through your own data to see what your visitors prefer. Businesses that published upwards of 16 posts a month saw 4x more traffic than those that posted 0 to 4 times. 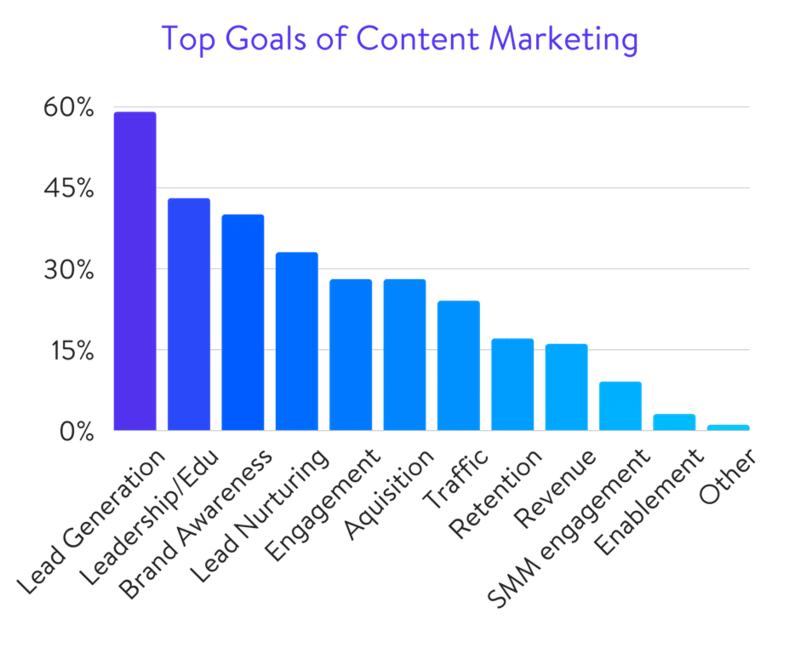 While this might seem like an impossible feat for your existing team—consider the aforementioned fact regarding how top content marketers outsource more content creation efforts than their peers. CoSchedule is really a content marketer’s dream. As you draft your content, it’s not uncommon to be hit with inspiration for social media posts that you just know will go viral. With CoSchedule, you can document those social marketing brainwaves without having to interrupt your blog post writing flow. The plugin conveniently places a box under the post editor that you can use on the spot to write and schedule social media posts for that particular blog posts. Scheduling social media posts is nothing new (particularly with hot tools like Buffer and HootSuite on the loose), but the cool thing with CoSchedule is that you’re able to schedule posts relative to when your article is published. For instance, you could send out a particular tweet or Facebook post 48 hours after publishing. If you postpone the time of your post publishing, the scheduled social media posts automatically adjust along with it, giving you one less thing to keep track of. With the added ability to sync all your social media profiles across all the major platforms in one place, you’ll end up saving yourself a lot of time. If you’re looking for even more control, there’s a visual drag and drop calendar which combines your scheduled blog posts and your social media posts — you’re able to see absolutely everything you’ve got scheduled in one convenient calendar. Finally, CoSchedule has a great user interface that supports team communication and collaboration. You can assign tasks, send reminders, and even hold a conversation right in the native UI. With such a wide array of features in just one place, it shouldn’t be a surprise to learn that CoSchedule is a paid plugin; however, any serious content marketer can test the waters with their free trial. CoSchedule is, without doubt, one of the best content marketing plugins and well worth its price tag. Not every content marketer will have the budget for CoSchedule. So you might also want to check out this free alternative, the Editorial Calendar plugin. This plugin understandably lacks many of the bells and whistles of the CoSchedule plugin, but if you’re just looking for an easy way to schedule your content, then Editorial Calendar is still perfect. As with the prior plugin, there’s a drag and drop calendar allowing you to easily visualize and edit the date and time at which your posts are scheduled to be published. No social media post scheduling this time around, however. If you want to change when a post is scheduled, all you have to do is drag the post to a different day and enter in a custom time. Needless to say, if you ever take it upon yourself to do a mass scheduling/rescheduling, this plugin is bound to save you a lot of time. Comparatively, going into the post editor to make the changes manually each time is time-consuming. Editorial Calendar also groups together all the posts that are yet to be scheduled, so you can quickly and easily drop one into a gap in your content schedule. This is where it really excels — the calendar acts as a reminder to publish unscheduled posts, preventing them from slipping through my net and into unpublished purgatory. For any content marketers looking for a free solution to help them keep on top of their publishing schedules, this plugin is an absolute must. Content marketing is always evolving, but will never be unnecessary. Content takes on a lot of different forms—not just text. Some of the most popular content marketing formats include case studies, press releases, ebooks, white papers, blogs, videos, online articles, webinars, e-newsletters, social content, and infographics. Choosing what kind of format to adopt depends on the intent or use. If marketers had to choose one format, they would choose visuals over blogging (41%, up from 37% in 2016, which is the first time images surpassed blogging). 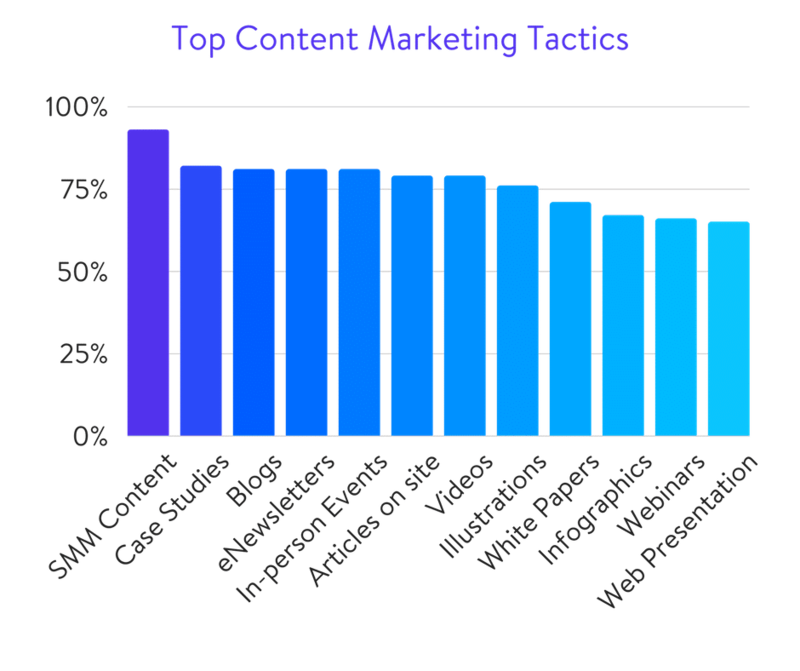 The top three content marketing tactics include social media (93%), case studies (82%), and blogging (81%)—but the most effective are case studies (78% accessed case studies in 2017, more than the 72% in 2016), white papers, and ebooks. Other media, such as podcasts and videos, are forecasted to make up 80% of internet content by 2021. Buyers are also more willing to exchange contact information for webinars (79%), white papers (76%), and ebooks (63%). They are less likely to share contact information for videos and podcasts (19% each). Additionally, B2B marketers are much more likely to use blogging (75%) compared to B2C marketers (61%). B2C marketers are more likely to use live video (30%) compared to B2B marketers (24%). Common distribution channels include websites, blogs, and social media sites such as Facebook, Twitter, and LinkedIn. For video, content marketers can rely on Facebook (who upped their video capabilities and are focusing on this as a content format of choice), Instagram, YouTube and/or Vimeo. LinkedIn is the preferred social media channel to share business content (84%), but overall, email is the favored channel to share all kinds of content (94%). The top five most effective social media platforms to deliver content and engage audiences are LinkedIn (82%), Twitter (66%), YouTube (64%), Facebook (41%), and SlideShare (38%). The top three channels B2B marketers use to promote/distribute content are Search Engine Marketing (66%), print or other offline promotions (57%), and traditional online banner ads (55%). Paid social media marketing methods often used include Facebook Ads (84%), Google Ads (41%), LinkedIn Ads (18%), Twitter Ads (17%), YouTube Ads (12%), and Promoted Blog Posts (7%). 23% of businesses spent 6-10 hours a week on social media to promote content, while 20% spent over 21 hours. 91% of marketers have found that investing as little as six hours per week on social media promotion increases business exposure; 81% said it increased traffic. But only 30% of marketers believe they are effective at measuring the impact of content marketing. 1. Failing to plan or have a content marketing strategy in place. The saying goes “by failing to plan, you plan to fail”. Without a plan or strategy in mind, you’ll take content creation as it goes, which can set you up for failure. You’d think that businesses would have learned this by now but 44% of marketers say that their businesses do not have a documented strategy for managing content as a business asset. Only 42% of organizations have an executive that is in charge of content marketing strategy. Not segmenting content is like casting a wide net and not catching anything. Personalizing content is important and in a way, segmenting helps achieve that. Content marketing is like an investment: to get the best returns, you need to diversify. Not all of your audience can be captured on a single medium. By diversifying, you can reach as much of your audience as possible and capture new prospects. There are so many businesses that spend time producing content then wondering why they aren’t getting any traffic—this is often a function of failing to promote the content. Who will read your content if they don’t know there is a new post available? You should be investing at least as much energy in promoting your content as you have invested in preparing it. Yes, it’s not an easy task! Send custom-tailored emails to influencers and ask them to share it with their followers. You would be surprised how many people are happy to share great quality content! Share around on social media and other high-traffic sites. This will vary per niche, but Reddit and HackerNews are awesome and can literally skyrocket your traffic overnight if you hit the top of the page. 5. Not measuring or using your data. Install analytics software such as Google Analytics if your CMS does not have one. This can be a great help in determining which aspects of your content marketing efforts need tweaking and improvement. You can also go even further and use tools like Accuranker to track the organic keyword rankings of your content. SEO is an important part of content marketing. Since content marketing is a long-term strategy, it can take a while before businesses see any returns from it. Content marketing works like a bank’s compounding interest. It can take around 6-12 months for content marketing to show major results and begin to establish a reputation for your company in the industry. Just focus on publishing great content and the returns will continue to add up. 7. Being resistant to change. Content marketing strategies change frequently and if you aren’t keeping up, you’ll definitely get left behind. Follow industry thought leaders to make yourself aware of new strategies and tactics. 8. Not investing in design. Content always comes first, but the design is also important as it reflects the time and effort you spent on your work, which is a great mirror for your readers. People love beautiful things, so once you’ve spent days finalizing your smashing content, it’s worth paying attention to design. Since your article is most likely a long read, not straining your eyes while reading is a crucial factor. Video will continue to dominate. Video was a big deal in 2018 and will continue to be so in 2019. According to Hubspot, marketers are prioritizing video content, with 48% of marketers planning to add Youtube videos and 46% planning to add Facebook videos to their strategy in 2019. Additionally, Search Engine Journal found that their live videos had 178% more engagement than their usual posts, and reach for those videos doubled as well. Whether it is recorded video, long video, short video, live video, 360 video, ephemeral video, or animated video, there is certainly a place for video in 2019. Marketers are going to be smarter about why they create content. Content marketing is said to be a long-term strategy but one of the things we can look forward to in 2019 is the establishment of content as the building block of all marketing strategies. Says Rebecca Lieb, author of Content, the Atomic Particle of Marketing, “I’ve realized that no marketing is possible without content. Social media doesn’t work without content, and neither does paid advertising. Without content, not a thing moves forward in the entire marketing landscape”. Because brands will recognize the importance of content, they will also try to create content without the intention of selling. To give an example, Apple is reportedly investing $1 billion to content creation. Just because content marketing isn’t selling products explicitly, does not mean customers won’t get tired of your content in certain situations. Millennials, specifically, appreciate it when brands give back to the environment or to charitable causes, but are growing increasingly wary that brands may be using these tactics for show. Moving forward, brands need to be more transparent about their content creation efforts. At the same time, both brands and influencers should work together to be more transparent in disclosing whether a post is sponsored or not. The FTC has taken steps toward this, sending letters to 90 bloggers to disclose their relationships with brands. One of the biggest content marketing mistakes and challenges is creating personalized content. Before, brands would create one post or video for a campaign but now, they might create several variations to appeal to different audiences. YouTube currently offers a feature called Director’s Mix, which allows brands to deliver thousands of videos in one campaign, differentiated according to factors like demographics, online behavior, and even actual places a person has visited (based on Google Maps data). Some marketers may even turn to machine learning or AI to create ‘smart content’, which is created by combining search marketing, AI, and content marketing. Explains Kevin Bobowski, senior vice president of marketing at BrightEdge, “An example of smart content would be leveraging AI to identify what consumers want, what consumers are organically searching for, and where consumers are searching”. He adds, “Using this information, content marketers can create relevant content revolving around these keywords and phrases that target their key audiences. This customer-centric approach allows content to be more discoverable within search engine ranking pages”. Another tactic in line with content personalization is the localization of content. This can work in cases where content isn’t applicable outside of certain countries. Besides video, marketers can also expect content to be distributed through IoTs (Internet of Things), virtual reality, and augmented reality. For example, Swedish brand IKEA has an augmented reality app that allows you to see what their furniture would look like in your room. The American Heart Association also has an [Amazon] Alexa integration that can tell you the steps for CPR and detail the warning signs of stroke and heart attack. However, using VR and AR is still a bit aspirational for many content marketers due to the barrier to entry in equipment (and cost), making it difficult to deliver these experiences on a large scale, according to John Haynsworth, senior content strategist at marketing agency POP. Although there are several content marketing mediums available, you don’t have to use them all; choose the ones that fit right with your brand and audience. Content marketing has changed a lot since it’s initial inception in Ben Franklin’s Poor Richard’s Almanac and it seems likely to change even faster in recent years, thanks to the increased attention it’s being given by today’s digital marketers. When it comes to content marketing the exact medium you use isn’t as important as having a strategy and being consistent. By understanding costs and trends, you can set yourself up for success. What insights would you add to our investigation of modern content marketing? Tweet @Kinsta and we’ll share the best with our audience! I have completed reading the full article. This is very vivid. It is full of knowledge and information which are supposed to be effective as these are all databacked. Wonderful article. It has been designed to cover from the startups to the blown up stage. Thanks for the brain storming article.